If you’re below grade, the extra concrete it takes to finish the job can cost you thousands of dollars. We offer laser grading, a more profitable way to grade. 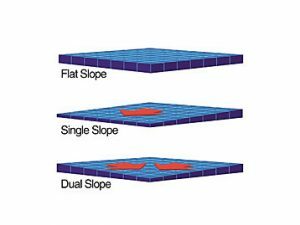 Our laser-guided and slope sensor grading systems provide better than ± 0.25-inch accuracy.These systems can potentially pay for themselves in just one job. Laser grading offers unrivaled material savings on new construction sites and other open areas. A laser transmitter emits a plane of laser light that mirrors the completed jobsite. The box blade receiver controls up-and-down movement for the entire blade, using the laser transmitter as its reference point. The graders utilize two laser receivers mounted on each end of the moldboard to move each side up and down independently, which means we can move across the surface from any direction. 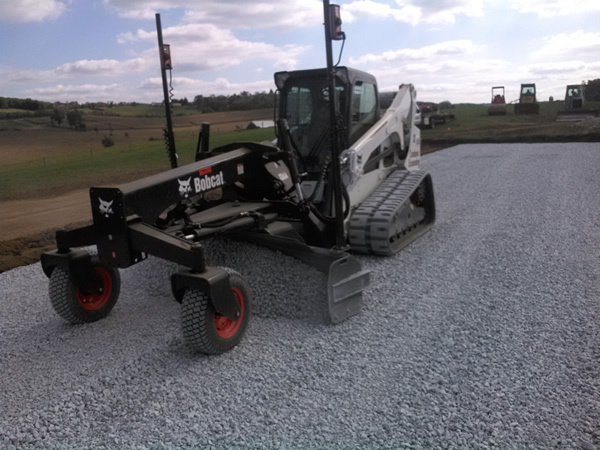 Operators can concentrate on traveling across the grading site while the system keeps the blade constantly on-grade, adjusting the blade position automatically. 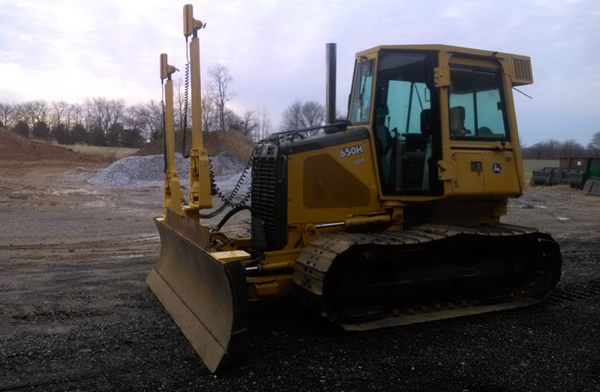 Condon’s Excavating’s precision grading technology is profitable and efficient. You need fewer people to do the job. You save money on expensive materials, such as concrete. Better profitability and faster, more accurate grading is what we offer. Example: A building pad 100′ long by 40′ wide that is only 1/2″ out of grade will take you an extra 6.17 yards of concrete. At $125 per yard that will cost you an extra $765. This is how laser grading can save you money. 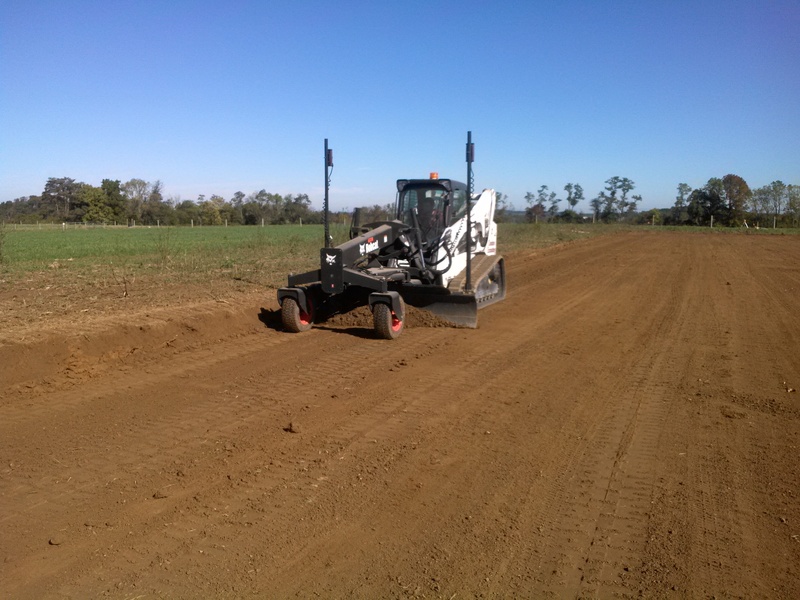 Condon Excavating offers laser-guided grading that can create flat-plane, single-slope and dual-slope surfaces. The laser-guided box blade and graders work equally well in this application. The box blade must travel up/down the slope. The grader can travel in any direction. The laser-guided grader will provide the best results in this application, for residential, farm and commercial precision excavation.